Here, Radiohead's Jonny Greenwood pays back a debt to the composer who has shaped his non-pop compositions more than anyone. 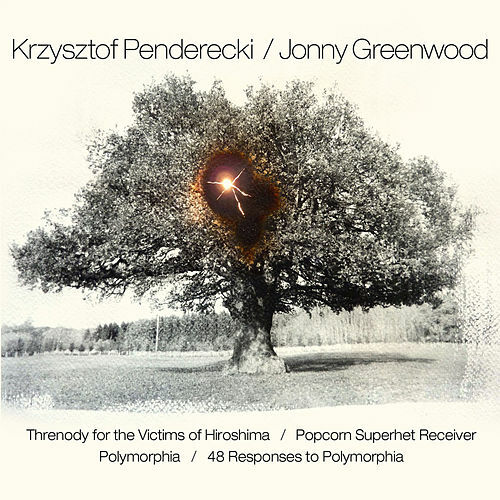 As Penderecki's "Threnody" prefigured Greenwood's "Popcorn Superhet Receiver" (which was excerpted for the There Will Be Blood soundtrack), so does the Polish composer's "Polymorphia" inspire the other Greenwood piece here. AUKSO Orchestra does both composers proud. Even if you know Penderecki's pieces, you'll want to hear Nonesuch's engineering (lush in its savagery). This is the go-to album for Greenwood's classical side; it proves he's the real deal.